So itâ€™s my birthday tomorrow (Wednesday the 14th) and you always give so much to you that I want to give you something for my birthday. Many of you have been affected by the downturn in the economy over the past few years. Many of you have kids. Many of you are sending your kids off to college. Many of you have an older adult on your phone plan. Whatever the case might be, all those phones and plans start to add up. Hey, maybe you just donâ€™t want to commit to a monthly plan or donâ€™t have the credit. Whatever your situation is Iâ€™ve got the answer for you. Verizon Wireless now has Pre-Paid phones so you can pay as you go. I know what your thinkingâ€¦ you can only take and make calls. Not true! Verizon Wireless has pre-paid phones with internet, games and more. No need to worry that your child is racking up their cell phone bill anymore. No need to pay for minutes unused by a loved one on your plan. No need to worry about your credit or commit to an annual plan. Because you can PAY AS YOU GO! Thatâ€™s right! And the phones are awesome! So awesome that Iâ€™m giving you the opportunity to win one! Fill out the Rafflecopter below for your change to win the LG Optimus Zone (Android powered smartphone). *Disclaimer â€“ I received the LG Optimus Zone from the Verizon folks because Iâ€™m a Verizon Brand Ambassador. The thoughts and opinions expressed here are my own. Summer is drawing to a close but there is still time to look back and share our favorite memories of the long, hot, lazy days of 2013. The Online Mom invites you to post yourÂ Best of Summer 2013Â pictures and videos to Instagram, using theÂ #VZWBuzzÂ hash tag. The picture or video that receives the most likes by 12:00 pm ET on Tuesday, September 3, 2013 will receive aÂ Samsung Galaxy CameraÂ courtesy of The Online Mom LLC. Participants inÂ Best of Summer 2013Â can submit multiple photos or videos just as long as each submission includes theÂ #VZWBuzzÂ hash tag. ParticipantsÂ must also follow theÂ VerizonÂ feed on Instagram. The winner of the Samsung Galaxy Camera will be announced at theVZWBuzz Twitter chatÂ on Friday, September 6, 2013. So don’t delay â€“ join the #VZWBuzz communityÂ on Instagram and share theÂ Best of YOUR Summer 2013! Being a Verizon Wireless Ambassador Iâ€™m able to try out fun new products that help make your life easier, more organized and in this case more aware. 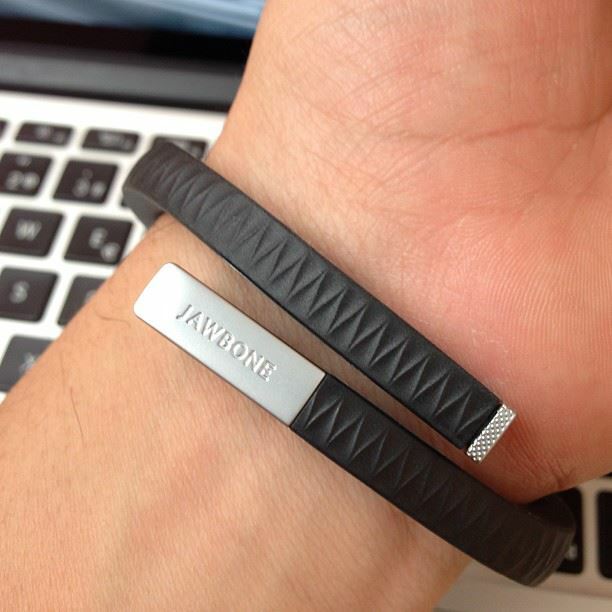 I recently tested out the Jawbone Up which is a rubber bracelet that tracks your movement, sleep, etc. Since Iâ€™ve been trying to make a lifestyle change lately this was a perfect new gadget for me to test out. I know I sleep a lot. I always have. It was interesting for me to see how much I actually sleep, how long it takes me to fall asleep, etc. Some days I slept for 9 hours some for 7. But itâ€™s interesting to see how long it takes to fall asleep and how many â€œrealâ€ hours I was actually sleeping. If I had a super busy day with a lot on my mind, it took me longer to fall asleep. While that may not be that surprising I think itâ€™s pretty cool that the Jawbone knows and recognizes that. I also like that it tracks my steps throughout the day. Iâ€™m also able to include my workouts and input what I did at the gym that day. The Jawbone is very easy to use. Just set it up, turn it on, put it on and go about your day. Then all you have to do is hook your Jawbone up to your phone for it to upload all your new information. You can create a team and share your progress with your friends and family or just monitor it for yourself. If you are interested in becoming more aware of your movements, sleep, and overall health, this is a gadget you need to invest in. *Disclaimer â€“ I received the Jawbone Up from the Verizon Wireless folks because Iâ€™m a Verizon Brand Ambassador. The thoughts and opinions expressed here are my own.